A School Resource Officer in Crossville who was struck by a vehicle on Tuesday afternoon sustained injuries to his head requiring well over 200 stitches, authorities said. He also had a cracked sternum and damage to his knee. However, authorities said Deputy Sheriff Scott Iles, SRO at North Cumberland Elementary School in Crossville, is expected to make a full recovery. He was at home on Wednesday morning recovering from being hit while directing school traffic on Highway 127 North. In an incident at approximately 3:10 p.m., the deputy sheriff with the Cumberland County Sheriff’s Office was struck by a southbound vehicle. 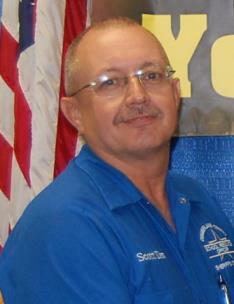 Officials said, "Scott is in good spirits and is missing his young friends at school. He was most appreciative for the overwhelming outpouring of prayers and support he received." The Tennessee Highway Patrol continues to investigate the accident.